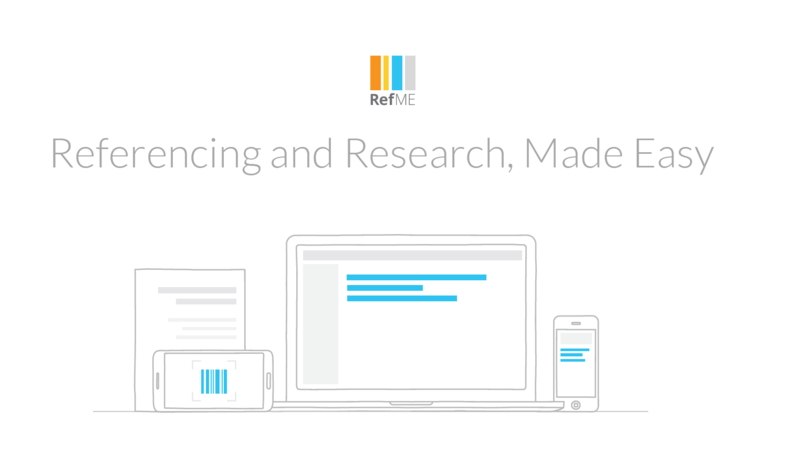 RefME is a free tool that creates citations, footnotes and bibliographies in seconds, saving students valuable time. Create references for any source in over 7,500 styles. 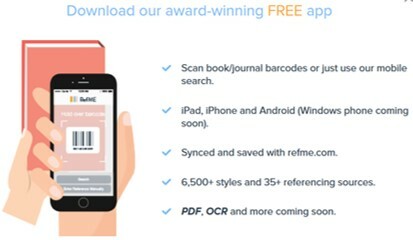 Scan book/journal barcodes to create references in seconds with our App. Access your bibliography across your devices. All saved and synced to the www.refme.com platform. If you are implementing RefME at your school, here is their rollout document. In your project, click on the Select Style button ito search for your school's bibliographic styes. Search in the box for your middle or high school's name to find pre-set styles OR search for the style you need!